Starting with a single community foundation in 1914, the field has exploded during the past 100 years, reaching some 1,700 in number worldwide today. The Charles Stewart Mott Foundation has a longstanding commitment of advocacy and support of the community foundation sector. For their 2012 annual report, they wanted to celebrate the 100th anniversary of this field. 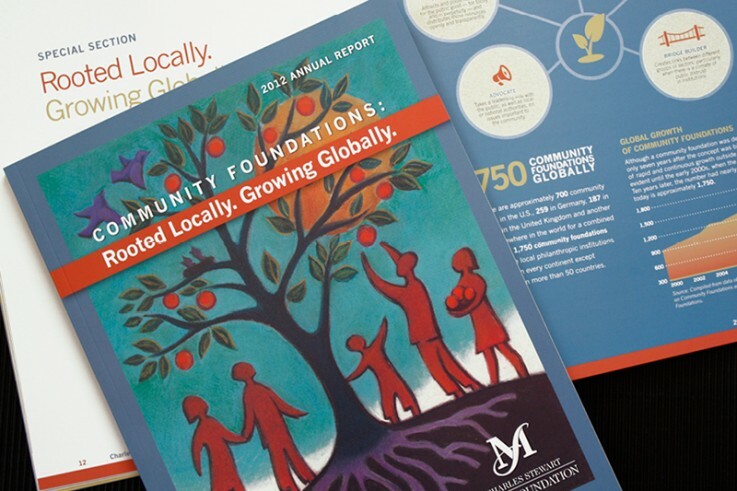 Olmsted Associates used custom illustration, dramatic photography and info graphics to tell this story centered on the theme of rooted locally and growing globally.